This is your online phone book database for the East Kimberley Directory, to look­up Residential, Community and Business listings in the Shire of Wyndham and East Kimberley (including the towns of Kununurra, Wyndham & Halls Creek) . Also available online is the directory in an e­book format. 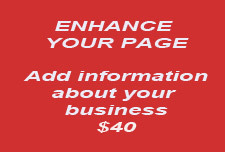 Since 1994 the East Kimberley Directory has been produced independently as a regional business directory and phone book that contains community information. It is a free publication for the residents of the East Kimberley and is distributed to the businesses and residents in Kununurra, Wyndham and Halls Creek. East Kimberley Directory phone book is available from the Kununurra, Wyndham & Halls Creek Australia Post Offices from early February. The businesses in the East Kimberley support this publication by advertising in the Business Section and we wish to thank them for their ongoing support. Each year we seek to improve this publication so your feedback is welcome.